Airplanes always scared the crap out of me. I can’t understand why something so heavy stays up in the air without just dropping like a brick from a window. Passenger jets, to me, are like coffins with wings. I felt like I was being swallowed into the belly of a metal mortician every time I stepped foot in one. But falling from the sky without the benefit of wings, metal or not, felt entirely different. It almost felt like a dream. The air was louder, windier, than I expected, but I didn’t think it would take very long for it to all go away. I was wrong. For some reason, my hairy little body started drifting sideways, almost as if I were flying. I wasn’t exactly falling to my death, which kind of sucked. It could have been that I shot webs out of the black spinnerets on my backside, creating a spider-chute like Spider-Man or something. My flight to the bottom of Coffee Pot Rock went way slower than I thought it would, and I didn’t end up splatting to death like I wanted. I nearly crashed into a car when I got low enough over State Route 89A. I thought for sure I’d splatter all over the windshield. My guts, I was thinking, would have been too plentiful for the wipers to handle. Before that I saw this helicopter-thing following me for a minute there. Turns out it was smaller than a real copter, though. A drone of some sort I think – silver with four small props at each corner of the box-shaped thing. Not sure if it saw me or not, but I got a good look at it before the wind blew me away. I hoped I’d fall into a pile of goop at some point. That’s what I wanted. But it’s not what happened. Instead I got blown over Sedona’s main road, after getting loose from the car I nearly smacked into, and landed in a mound of dirt on the shoulder. I managed to survive the experience without so much as a single damn scratch. Not that I could tell on my new bod. Once past the car, I skittered and flopped my way back onto the sidewalk and under a small rose bush, near what looked like a spa of some sort. Sedona was full of these places. Locals really couldn’t afford them. But actors liked them. Folks like Robert Downey Jr. and Nicholas Cage came here a lot I heard. Not sure if they went to spas or just hiked, but they were spotted here frequently. The fact that I’d graduated from scrambling and flopping, to skittering and flopping, didn’t really make me happy, but it got me under the bush faster. I was off the street and out of the dark night. With luck no one would see me. The earth felt cool and safe against the hairy bulb at my rear, my abdomen I think, and I hunkered down for a quick respite from the insanity of my life. I looked at my pedipalps by the orange glow of 89A’s new street lamps. Pedipalps, I remembered, were the name for the stiff joints next to my mouth. I examined the way they looked through my freaked-out kaleidoscope eyes. That’s when I spotted the bill laying a few inches away. I focused my eyes on it and mentally ticked off the one and two zeros. A one hundred dollar bill! I went over to it and knocked a few dried leaves from the top of it. I scooped it up and started folding the thing. What would a tarantula need one hundred dollars for? The absurdity crossed my mind, but I gripped the wadded bill anyway. I’d be stupid to toss it. It was at that point I noticed something even weirder. A quail hung out in the bushes next to mine, partially lit by the nearby street lamp. He gave me a curious look before reaching down to peck at something by his feet. The bird must have been standing super still before, otherwise I would have noticed him. It made me a little uncomfortable. 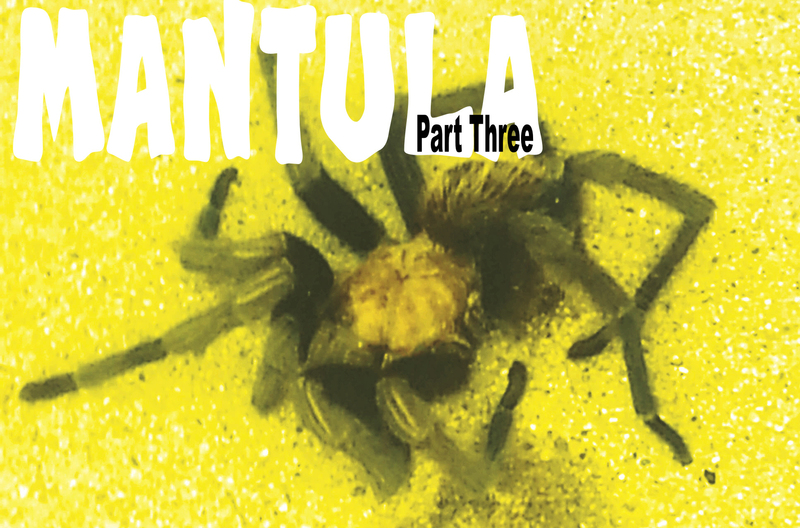 While I could remember a bit about tarantulas, as I once tried to convince my dead mom that one would make a good pet (not to mention make me the cool kid on the block), I couldn’t remember what they ate – or what ate them. But this quail seemed a little off. I realized he wasn’t pecking at the ground for food. He had something in his mouth, a pen by the look of it, and was holding it in his beak and scratching something in the ground with it. I then realized he wasn’t scratching in the ground. 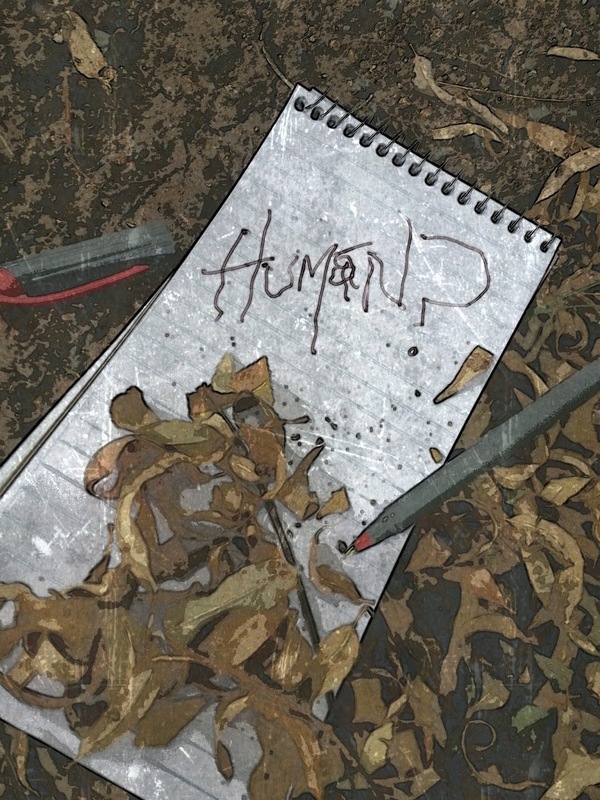 A notebook sat in the dirt by his clawed little feet. The quail, using his beak, was trying to write something if you can believe that. When he finished, the feathered thing with the dark blob at the top of his head, spat out the pen and picked up the notebook. A saw one word scrawled on the grime-streaked paper, which the quail held up for me to see. It looked like a two-year-old had written it. That one word made my heart skip a beat. Mantula will return. Click here to read a news article about his recent encounter with the drone. Has Mantula been caught on camera? By a drone?